Sleep issues. Allergies. Sensitivities. Eczema. Asthma. Coughs. Ear infections. The stark truth is that too many of our children are falling between the cracks of America’s less than stellar approach to pediatric medicine. Studies show that more and more kids are being medicated for ever increasing conditions and symptoms, while overall pediatric health continues to decline. Robin Ray Green calls this unfortunate trend “the Unwellness Gap.” And she has spent years in service to kids and families helping to close that gap. From her pediatric acupuncture clinic in Northern California she helps kids access their innate healing systems and helps return them to vibrancy and balance. Robin also began training other acupuncturist and holistic practitioners to treat kids and bridge the Unwellness Gap becoming the premiere Pediatric Acupuncture expert in the county. And if this all wasn’t impressive enough. Robin is also a mom, a wife, and good friend to myself and many others holding the torch of alternative and holistic wellness in our local and online communities. Robin is tireless in her commitment to serving our children and gives 1000% to all she does. I feel so honored to know her as a dear friend and inspiring colleague, as well as my go-to healing practitioner for my three children as well. Robin’s new book, published Autumn 2016 with Hay House, “Heal Your Child from the Inside Out” is no exception to her unyielding standard of value and excellence. Now every parent can access Robin’s brilliant loving wisdom and begin to apply her modern take on centuries old wisdom to help improve their children’s health. This is a book no household with children should be without. 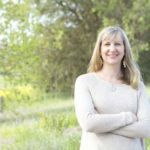 And this interview with Robin is a wealth of actionable nuggets you can use right away to get you started on applying the Five Element Way to healing your child today. Join us as Lindsay and Robin Talk about the Unwellness Gap. I’m an acupuncturists and herbalist that specializes in pediatrics. I’m a mother of two boys, happily married and live in Morgan Hill. When my son came down with a case of chronic eczema and Western doctors were unable to help I learned how to use Chinese medicine to help children heal. I healed my son and started treating children with chronic illness in my acupuncture practice. I love food, cooking, hiking, biking, reading and playing with my boys. I think mindset is the most important thing. We have to find the wellness and strengthen we have in the present moment and release ourselves from the story of our suffering so we can be at peace even if we’re sick. Then of course we need to be super kind to ourselves, make sure we get enough sleep, good nutrition and supplements if necessary to support healing. I believe the body was designed to heal itself and that by using acupuncture we can supercharge those innate healing mechanisms. When my infant son was suffering from eczema it lit a fire within me to find a way to help him heal that supported his body and made him stronger. It brought a lot of awareness that other babies and children were suffering and that Western medicine doesn’t always have the answer. That we need to change our lifestyle, diet and understanding of health to reverse the trends in children’s health. Children are sicker than ever with chronic illness like asthma. Our kids are the first generation expected to have a shorter lifespan than their parents. Having a morning routine with meditation, inspirational reading and exercise. Being flexible with how this routine will change when life gets busy and not beating myself up when I can’t do it, but instead getting right back on track once things calm down. Healing doesn’t happen overnight, especially with chronic illness. I help them come to a place of surrender to what is so they can allow the healing process to unfold without the stress, anxiety, anger and frustration that comes from being limited by an illness. I think finding the meaning in the illness makes the journey back to health easier. Meditation and mindfulness. I think we can let go of suffering if we can let go of the stories around our suffering. Robin Green is a licensed acupuncturist, herbalist and leading expert in the field of pediatric acupuncture. She has over ten years clinical experience using Chinese medicine to help children heal from asthma, allergies and eczema. 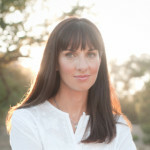 Her popular kids health blog (KidsLoveAcupuncture.com) reaches over 1 million readers annually. Robin founded the Center for Acupuncture Pediatrics which provides premier pediatric acupuncture training worldwide.